The Aerospace International Research Center GmbH was established in the end of 2013. We are an international team that has extensive experience working in the high-tech industry, in large and small startups from all over the world. With us are shareholders, partners, and colleagues who have decades of experience in the development and production of systems, equipment and tools which successfully operate in countries including the USA, Germany, Russia, Ukraine, Switzerland, Israel, South Korea, India, China, Brazil and etc. 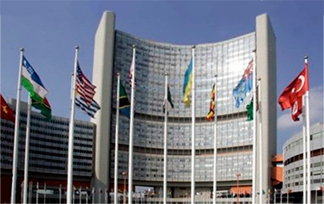 AIRC is based in Vienna, where the headquarters of the United Nations Committee on the Peaceful Uses of Outer Space is also located. It is our main belief that today everyone working in the aerospace industry should be considering new goals, new tasks, and new ideas. In July 2018 Aerospace International Research Center was renamed to Asgardia Independent Research Center GmbH. Last year, we began publishing our new space journal, ROOM. We chose this particular name to reflect our belief that we should think of space as more than just a faraway, alien world - it is also a world that humanity is part of. We wish ROOM to be a place for discussion among civilian and military specialists on all things space, as well as a place where serious problems about how to preserve our planet from both manmade and external threats can be addressed. The first issue of the journal made its debut at the Farnborough Air Show, which was held from 14 to 20 of July 2014. Igor Ashurbeyli studied Computer Science with a focus on Automatisation of Control Systems and Large Databases, Radar and Laser Systems. He has a PhD in Engineering with a specialisation in Computer Science. He is also a Doctor of Science in Engineering and a space defence industry leader. In 2010, he was awarded Russia's State Science & Technology Prize , given to him for achievements in the development and use of a new generation of micro-technology communications systems, and controls for mobile air defence systems and critical facilities. The State Science & Technology Prize is the highest honour a Russian scientist can achieve. In 2013 he founded AIRC and became Editor-in-Chief of ROOM , a space journal and discussion platform for scientists, engineers, and space industry leaders. After inauguration which took place on 25th of June 2018 in Hofburg, Vienna, Igor Ashurbeyli has become the first Head of Nation of the Space Kingdom Asgardia. 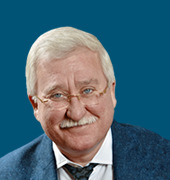 Mikhail Spokoyny studied Thermal Physics, Laser and Satellite Energy Systems at universities in Odessa and Moscow before receiving his PhD in 1984 from the Leningrad (St. Petersburg) Institute of Fine Mechanics and Optics. In 2001, he moved to the U.S., first as a visiting scholar at UCLA, later holding various scientific and development positions throughout the state of California. He also worked in the Mechanical Department of Drexel University as Research Professor and Research Director. He has more than 10 U.S. patents and more than 80 scientific publications. In 2013 he moved to Vienna to run the AIRC, GmbH. Lena de Winne holds an MSc in engineering from Moscow Power Engineering University, an MBA from European University in The Hague, and a PhD in psychology from California Southern University. After fifteen years of a successful career at the European Space Agency (ESTEC, The Netherlands), where she worked in business development, liaison, promotion and education, she published several popular books in English and Russian on the topic of space for children and adults, and hosted a television program in Belgium. 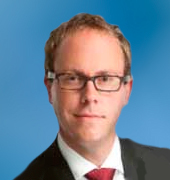 Dr. Jörg Winkler is senior partner of Hasberger_Seitz & Partner Rechtsanwälte GmbH (www.hsp-law.at) since 2008. He is a graduate of the University of Vienna Law School and spent part of his studies and research for his doctoral thesis at the Università di Roma „La Sapienza“.He worked with various renowned Law Firms in Austria. Main fields of Dr. Winkler's practice are Corporate Law and Contract Law. THESE TERMS AND CONDITIONS OF SERVICE (the "Terms") ARE A LEGAL AND BINDING AGREEMENT BETWEEN YOU AND "Room, The Space Journal" governing your use of this Service, http://room.eu.com, which includes but is not limited to products, software and services offered by way of the website such as any "Video Player," "Uploader," and other applications that link to these Terms (the "Service"). "Room, The Space Journal" includes "Room, The Space Journal" Society as well as http://airc.at, AIRC GmbH, its subsidiaries, its affiliates, and its licensees that produce or distribute "Room, The Space Journal" Products. An Room Product is defined as a product of "Room, The Space Journal", a subsidiary, affiliate, joint venturer, or licensee of "Room, The Space Journal", in any language, over which "Room, The Space Journal" has Editorial Control." For the purposes of this Agreement, "Editorial Control" means the right to review, consult regarding, formulate standards for, or to exercise a veto over the appearance, text, use, or promotion of the "Room, The Space Journal" Product. Your use and browsing of the Service is at your risk. If you are dissatisfied with any of the materials contained in the Service, with the quality of service, or with these Terms, your sole and exclusive remedy is to discontinue accessing and using the Service. These are the terms of service for the use of "Room, The Space Journal" websites, apps, games, and other digital products. Please review them. We update these terms from time to time. In order to utilize certain functionality of the Service, you must complete a registration process. As a registered user of the Service, you agree to (a) provide true, accurate, current, and complete information about yourself as prompted by the Service registration form ("Registration Data"), and (b) maintain and promptly update the Registration Data to keep it true, accurate, current, and complete. Upon completing the registration process, you shall receive confirmation of a password and user name. You are responsible for maintaining the confidentiality of the password and user name, and you are fully responsible for all activities that occur under your password or user name. You agree to (a) immediately notify "Room, The Space Journal" of any unauthorized use of your password or user name or any other breach of security; (b) exit from your account at the end of each session; and (c) defend, indemnify, and hold harmless "Room, The Space Journal" from any loss or damage arising from unauthorized use of your password or user name. By registering, you consent to the collection of your data, including, without limitation, Registration Data, by "Room, The Space Journal" and processing of such data by "Room, The Space Journal" in connection with your use of the Service. You consent to the technical processing and transmission involved in your use of the Service, including, without limitation, Registration Data, and you acknowledge that such process may involve (a) transmission of such data over various networks; and (b) modifying such data to conform and adapt to technical requirements of connecting networks or devices. You agree that you are who you say you are when you register. It's important that the email address associated with your account is accurate and up to date. The Service is owned by "Room, The Space Journal". All of the content featured or displayed on the Service, including, but not limited to, still images, text, pictorial works, video images, still images of video, graphic designs, audio recordings, multimedia combinations, and computer programs, including web-based programs ("Content") is owned or licensed by "Room, The Space Journal". 1. That you may only download Content that "Room, The Space Journal" designates as offered for download to any single computer a single copy of any Content for personal and noncommercial use. 2. To not reproduce, distribute, modify, re-post on another Service (regardless of the server on which the Content is stored), or sell any Content without specific written authorization from "Room, The Space Journal", unless such use is pursuant to Educational Use of Content of this agreement. 4. To refrain from framing, inline linking, or mirroring any portion of the Service. 5. You retain all of your ownership rights in material you upload, comments you post, or other content you provide to the Service ("Your Content"). a) "Room, The Space Journal" will make no sale of Your Content to a third party unless and until you have expressly consented to be represented by "Room, The Space Journal". b)	By uploading Your Content, however, you grant "Room, The Space Journal" (which includes its subsidiaries, affiliates, joint venturers, and licensees) the following rights: a worldwide, perpetual license to display, distribute, reproduce, and create derivatives of Your Content, in whole or in part, without further review or participation from you, in any medium now existing or subsequently developed, in editorial, commercial, promotional, and trade uses in connection with "Room, The Space Journal" or AIRC brand, "Room, The Space Journal" Products, and "Room, The Space Journal"'s branded channels on existing and future social media platforms (such as Facebook, Instagram, Twitter, Snapchat, Pinterest, and subsequent new platforms). "Room, The Space Journal" may license or sublicense, in whole or in part, to third parties rights in Your Content as appropriate to distribute, market, or promote such "Room, The Space Journal" Products or "Room, The Space Journal" brand through any existing and future media, channels, or platforms. You also grant "Room, The Space Journal" or AIRC permission to use and authorize others to use your name and any profile picture you provide in association with Your Content for identification, editorially, publicity related to Your Content or the Service, and for similar institutional promotional purposes. You also agree that "Room, The Space Journal" may make Your Content available to users of the Service who may display and redistribute it in the same way that "Room, he Space Journal" makes all other Content available. c) "Room, The Space Journal" may use Your Content, without compensation to you, in any "Room, The Space Journal" or AIRC Products that feature Your Content in the context of, in direct promotion of, or otherwise strongly identified with (beyond mere attribution), the special section or community of the Service to which it was submitted, such as "Your Shot," My Shot," or successor sections or communities of the service. d) "Room, The Space Journal" may exercise its rights to use Your Content in "Room, The Space Journal" or/and AIRC Products other than described in sub-section c., immediately above (e.g. for an "App," a book or e-book, merchandise, etc. ), and will pay you at "Room, The Space Journal"'s rates. e) To enable "Room, The Space Journal" to use Your Content in "Room, The Space Journal" or/and AIRC Products, "Room, The Space Journal" and/or AIRC may request you to provide Your Content in other formats, and if technically possible, you agree to provide Your Content in such other formats so long as "Room, The Space Journal" pays you the reasonable out of pocket costs of providing Your Content in such other formats. f) Any payment to you is conditioned upon you keeping your registration information up to date and you completing any paperwork that "Room, The Space Journal" requires to make payments to third parties. "Room, The Space Journal" also reserves the right not to make payment to you if "Room, The Space Journal" reasonably believes that to do so would violate applicable law. AIRC GmbH, Stubenring 2/8-9, Vienna, 1010, Austria. You can use only the Content that we designate as available for download or other uses. If you do download or use Content, respect others' rights. We claim no ownership of anything you post or upload (for example, images, video, comments, editorial content, etc. ), and we'll never sell it to a third party without your permission. You retain all copyrights you have in Your Content that you post or upload. You give us permission to display Your Content on technology platforms operated by us and our partners. You also allow us to identify you as the source of Your Content by name or your profile picture. If we select Your Content for use in an "Room, The Space Journal" or/and AIRC Product that is not in the context of, in direct promotion of, or otherwise strongly identified with (beyond mere attribution), the special section or community of the Service to which it was submitted, we will pay you at our established rates (provided your contact email is up to date, you complete any necessary payment paperwork, and there is no Austrian or United Kingdom law that prohibits us from making a payment to you). We take copyright very seriously. If you think you have suffered an infringement, please follow the instructions in the last section of these Terms of Service to notify us. Although "Room, The Space Journal" does not routinely monitor the postings to the Service, "Room, The Space Journal" reserves the right (but assumes no obligation) to delete, move, or edit any Your Content that comes to its attention that "Room, The Space Journal" considers in its sole discretion to be unacceptable or inappropriate, whether for legal or other reasons. Conduct by any user that, at the sole discretion of "Room, The Space Journal", restricts or inhibits any other user from using or enjoying the Service will not be permitted. "Room, The Space Journal" reserves the right to refuse access to the Service to any user for any reason, including, without limitation, a reasonable belief that the user in question has violated these Terms, any other operating rules or terms currently posted on the Service, or any of the copyright or trademark laws of the United States, Austria or Great Britain. The Service may provide, or third parties may provide, links to other sites or resources. Because "Room, The Space Journal" has no control over such sites and resources, you acknowledge and agree that "Room, The Space Journal" is not responsible for the availability of such external sites or resources, and does not endorse and is not responsible or liable for any content, advertising, products, or other materials on or available from such sites or resources. You further acknowledge and agree that "Room, The Space Journal" shall not be responsible or liable for any damage or loss caused or alleged to be caused in connection with use of or reliance on any such linked content, goods or services available on or through any such linked site or resource. Your interactions with companies, organizations and/or individuals found on or through our Service, including any purchases, transactions, or other dealings, and any terms, conditions, warranties or representations associated with such dealings, are solely between you and such companies, organizations and/or individuals. You agree that "Room, The Space Journal" will not be responsible or liable for any loss or damage of any sort incurred as the result of any such dealings. You also agree that, if there is a dispute between users of this Service, or between a user and any third party, "Room, The Space Journal" is under no obligation to become involved, and you agree to release "Room, The Space Journal" and its affiliates from any claims, demands and damages of every kind or nature, known or unknown, suspected and unsuspected, disclosed and undisclosed, arising out of or in any way related to such dispute and/or the Service. THE INFORMATION, PRODUCTS AND SERVICES OFFERED ON OR THROUGH THE SITE AND ANY THIRD-PARTY SITES ARE PROVIDED "AS IS" AND WITHOUT WARRANTIES OF ANY KIND EITHER EXPRESS OR IMPLIED. TO THE FULLEST EXTENT PERMISSIBLE PURSUANT TO APPLICABLE LAW, "Room, The Space Journal" DISCLAIMS ALL WARRANTIES, EXPRESS OR IMPLIED, INCLUDING, BUT NOT LIMITED TO, IMPLIED WARRANTIES OF MERCHANTABILITY AND FITNESS FOR A PARTICULAR PURPOSE. "Room, The Space Journal" MAKES NO WARRANTY THAT THE SITE OR ANY OF ITS FUNCTIONS WILL BE UNINTERRUPTED OR ERROR-FREE, THAT DEFECTS WILL BE CORRECTED, OR THAT ANY PART OF THIS SITE, INCLUDING BULLETIN BOARDS, OR THE SERVERS THAT MAKE IT AVAILABLE, ARE FREE OF VIRUSES OR OTHER HARMFUL COMPONENTS. "Room, The Space Journal" NEITHER WARRANTS NOR MAKES ANY REPRESENTATIONS REGARDING THE USE OR THE RESULTS OF THE USE OF THE SITE OR MATERIALS ON THIS SITE OR ON THIRD-PARTY SITES IN TERMS OF THEIR CORRECTNESS, ACCURACY, TIMELINESS, RELIABILITY OR OTHERWISE. UNDER NO CIRCUMSTANCES, INCLUDING, BUT NOT LIMITED TO, NEGLIGENCE, WILL "Room, The Space Journal", OR OUR SUBSIDIARIES, PARENT COMPANIES, AFFILIATES, SERVICE PROVIDERS, AND/OR LICENSORS BE LIABLE FOR ANY DIRECT, INDIRECT, INCIDENTAL, SPECIAL OR CONSEQUENTIAL DAMAGES THAT RESULT FROM THE USE OF, OR THE INABILITY TO USE, THIS SITE, INCLUDING ITS MATERIALS, PRODUCTS, OR SERVICES, OR THIRD-PARTY MATERIALS, PRODUCTS, OR SERVICES MADE AVAILABLE THROUGH THIS SITE, EVEN IF WE ARE ADVISED BEFOREHAND OF THE POSSIBILITY OF SUCH DAMAGES. (BECAUSE SOME STATES DO NOT ALLOW THE EXCLUSION OR LIMITATION OF CERTAIN CATEGORIES OF DAMAGES, THE ABOVE LIMITATION MAY NOT APPLY TO YOU. IN SUCH STATES, OUR LIABILITY AND THE LIABILITY OF "Room, The Space Journal" SUBSIDIARIES, PARENT COMPANIES, AFFILIATES, SERVICE PROVIDERS, AND/OR LICENSORS IS LIMITED TO THE FULLEST EXTENT PERMITTED BY SUCH STATE LAW.) YOU SPECIFICALLY ACKNOWLEDGE AND AGREE THAT "Room, The Space Journal" IS NOT LIABLE FOR ANY DEFAMATORY, OFFENSIVE OR ILLEGAL CONDUCT OF ANY USER. IF YOU ARE DISSATISFIED WITH THE SITE, OR ANY MATERIALS, PRODUCTS, OR SERVICES ON THE SITE, OR WITH ANY OF THE SITE'S TERMS AND CONDITIONS, YOUR SOLE AND EXCLUSIVE REMEDY IS TO DISCONTINUE USING THE SITE. Don't look at our website while you are flying a plane, driving a car, skiing, kayaking, descending a steep ravine, or chopping vegetables. "Room, The Space Journal" wants to encourage an open exchange of information and ideas on the Service. You can expect the Service to include information and opinions from a variety of individuals and organizations other than "Room, The Space Journal". "Room, The Space Journal" neither endorses nor guarantees the accuracy of any of Your Content. "Room, The Space Journal" may review Your Content from time to time and may take steps to remove inappropriate Your Content that comes to its attention; however, "Room, The Space Journal" engages in no routine monitoring of Your Content on the Service. There is no substitute for healthy skepticism and your own good judgment. 9. Not to alter or modify any part of the Service, make no use that would interfere with or disrupt the Service or servers or networks connected to the Service, make none of Your Content available (whether through upload, post, email, transmit, or otherwise) that contains software viruses or any other computer code, files, or programs designed to interrupt, destroy, or limit the functionality of any computer software or hardware or telecommunications equipment, and neither circumvent nor disable any security or data-protection measures implemented by "Room, The Space Journal". 10. Not to translate, reverse engineer, decompile, disassemble, or attempt to discover any source code or underlying ideas or algorithms of the object code of any portion of the Service. CAUTION: ANY ATTEMPT BY ANY PERSON TO DELIBERATELY DAMAGE THE SITE IS A VIOLATION OF CRIMINAL AND CIVIL LAWS. SHOULD SUCH AN ATTEMPT BE MADE, "Room, The Space Journal" RESERVES THE RIGHT TO SEEK DAMAGES FROM ANY SUCH PERSON TO THE FULLEST EXTENT PERMITTED BY LAW. Do share freely. We encourage an open exchange of information and ideas. Don't be unpleasant, dishonest, or inappropriate; follow the "Room, The Space Journal" Rules. You agree to indemnify, defend, and hold harmless "Room, The Space Journal"; its affiliates and partners; and their respective officers, directors, employees, agents, members, licensors, representatives, and third party providers to the Service from and against all losses, expenses, damages, and costs, including attorneys' fees, resulting from any violation of these Terms. "Room, The Space Journal" reserves the right to assume, at its sole expense, the exclusive defense and control of any matter subject to indemnification by you, in which event you will fully cooperate with "Room, The Space Journal". The "Room, The Space Journal" Archive online product is subject to all of these Terms of Service, including particularly the commitment that you will not reproduce, distribute, modify, re-post on another Service (regardless of the server on which the Content is stored), or sell any Content without specific written authorization from "Room, The Space Journal". In addition, to the extent you are authorized to use the "Room, The Space Journal" Archive product through a login ID, such use is authorized only for personal and non-commercial purposes. Use by libraries, which include without limitation all academic, school (K-12), public, government, corporate and special libraries, worldwide, is prohibited. Educators or Learners are prohibited from disseminating Downloadable Content beyond such Educator's or Learner's particular educational institution, organization, or home. Under no circumstances may an Educator or Learner use Downloadable Content for commercial purposes. Educators or Learners may make no modifications to Downloadable Content and must preserve all "Room, The Space Journal" or Licensor credits, copyright notices and other proprietary notices. Educators or Learners may neither make use of nor allow or enable the use of Downloadable Content in a manner in which it is re-posted, framed, or mirrored on any other websites, regardless of educational use, but may store Downloadable Content on password-protected computer networks administered by the Educator's or Learner's school or school system. Educators or Learners may post only products the Educator or Learner has created that contain Downloadable Content and only to a password-protected website administered by the Educator's or Learner's school or school system or by "Room, The Space Journal". Educators or Learners who embed Downloadable Content in the form of video material (e.g. through a video player) must also comply with "Room, The Space Journal" is Terms of Service Your Conduct with respect to Video Players. Educators and students may download Content for use in educational presentations, handouts, homework, projects, etc. You cannot use this content for commercial purposes, or distribute beyond your school, organization or home. You may post and store Downloadable Content only to password-protected school websites. From time to time "Room, The Space Journal" provides Massive Online Open Courses ("Online Courses") through different providers (e.g. Google, Udacity, Coursera, etc.) (each a "Platform"). By accessing and/or using the Platform or Online Courses, you agree to be bound by these additional Terms of Service, whether you are a "Visitor," meaning you simply browse the Online Courses, including, without limitation, through a mobile or other wireless device, or otherwise use the Online Courses without being registered; or a "Student," meaning that you have registered to use the Online Courses and will complete the homework assignments and exams; or an "Attendee;" meaning that you have registered to use the Online Courses and that you intend to audit the Online Courses, i.e., attend or view lectures online without completing homework assignments, exams or other course work. The term "Course User" refers to a Visitor, Student or Attendee. Content Disclaimer. The text and other material in Online Courses may include the opinion of the specific instructor and are not statements of advice, opinion, or information from "Room, The Space Journal". If you feel you might be offended by the content of the Online Courses, you should refrain from registering for the Online Courses. Online Courses and Certificates of Completion. "Room, The Space Journal" and the instructors of the Online Courses reserve the right to cancel, interrupt or reschedule any Online Courses or modify its content as well as the point value or weight of any assignment, exam or other evaluation of progress. Online Courses offered are subject to the Disclaimer of Warranties / Limitation of Liabilities found in Liability above. For some Online Courses, subject to your satisfactory performance in the Online Courses as determined in the sole discretion of the instructors, you may be awarded a statement acknowledging your completion of the class ("Statement of Accomplishment") or Continuing Education Units ("CEU"). The term "Recognition" refers to a Statement of Accomplishment and/or CEU. Recognition, if provided to you, would be from "Room, The Space Journal" and/or from the instructors. The type of Recognition, if provided to you, will be explicitly stated in the Online Courses. Further, "Room, The Space Journal" reserves the right to offer or not offer any such Recognition for an Online Courses. You acknowledge that the Statement of Accomplishment does not convey academic credit and will not stand in the place of a course taken at an accredited institution. You acknowledge that neither the instructors of any Online Courses nor "Room, The Space Journal" will be involved in any attempts to get the course recognized by any educational or accredited institution, unless explicitly stated otherwise by in the Online Courses. The format of the Recognition will be determined at the discretion of "Room, The Space Journal" and the instructors, and may vary by class in terms of formatting, e.g., whether or not it reports your detailed scores or grades in the class, and in other ways. Where CEU is provided, the format will conform to CEU requirements. Intellectual Property Rights and License. All content or other material available through the Online Courses, including but not limited to online lectures, speeches, video lessons, quizzes, presentation materials, homework assignments, programming assignments, programs, code, and other images, text, layouts, arrangement, displays, illustrations, documents, materials, audio and video clips, HTML and files (collectively, the "Course Content"), are the property of "Room, The Space Journal" and/or its affiliates or licensors and are protected by copyright, patent and/or other proprietary intellectual rights under United States and foreign law. In consideration for your agreement to these Terms of Service, "Room, The Space Journal" grants you a personal, non-exclusive, non-transferable license to access and use the Online Courses and Course Content. You may download Course Content identified as available for download only for your own personal, non-commercial use. You may not otherwise copy, reproduce, retransmit, distribute, publish, commercially exploit or otherwise transfer any Course Content, nor may you modify or create derivatives works of the Course Content. Course User Conduct. Online Courses are public and open forums. You agree to assume full and sole responsibility for any of Your Content you post to the Online Courses. Course User conduct is subject to standards described in the "Your Conduct" section of these Terms of Service above, which includes your obligation to abide by the Community at "Room, The Space Journal" Rules for Members. Termination Rights. You acknowledge that for the purpose of any "Room, The Space Journal" Online Courses your sole relationship is with "Room, The Space Journal". "Room, The Space Journal" has the right to cancel, delay, reschedule or alter the format of any Online Courses at any time, and that "Room, The Space Journal" has no liability to you for any such action. If you no longer desire to participate in the Online Courses, you may terminate your participation therein upon notice to "Room, The Space Journal". Feedback. "Room, The Space Journal" may, in "Room, The Space Journal" is sole discretion, utilize, in any manner "Room, The Space Journal" deems appropriate, all comments and suggestions, whether written or oral, furnished by any Course User to "Room, The Space Journal" in connection with Online Courses ("Feedback"). Course User assigns to "Room, The Space Journal" all right, title and interest, including, without limitation, all intellectual property rights, in and to the Feedback. Research. Records of your activity in Online Courses may be used for researching online education intended to improve future Online Courses and contribute to overall knowledge in the field. This research will involve analyzing patterns about the use of the site and user submitted resources and comments. You may also be asked if you are willing to respond to survey questions or be interviewed for the research. Individual participants will not be identified, and reasonable efforts will be made to avoid including information that could be connected to any individual, school or district, in all research reports. In the interests of this research, you may be exposed to variations in the course materials that should have no substantive effect on your learning experience. All research findings will be reported at the aggregate level and will not expose your personal identity. If you participate in an Online Course offered by "Room, The Space Journal", please review these Terms of Service. "Room, The Space Journal" may offer an Online Course through a Platform (such as Google, Udacity, Coursera, etc. ), and you agree to be subject to any additional terms and conditions of that Platform. Certain sections of this Service may allow you to purchase different types of products and services online that are provided by third parties. "Room, The Space Journal" has no responsibility for the quality, accuracy, timeliness, reliability or any other aspect of these products and services. If you make a purchase from a merchant on the Service, or on a third-party website that you have accessed via a link on the Service, the information obtained during your visit to that merchant's online store or site, and the information that you give as part of the transaction, such as your credit card number and contact information, may be collected by both the merchant and "Room, The Space Journal". A merchant may have privacy and data collection practices that are different from "Room, The Space Journal". "Room, The Space Journal" has no responsibility or liability for these independent policies. In addition, when you purchase products or services on or through the Service, you may be subject to additional terms and conditions that specifically apply to your purchase or use of such products or services. For more information regarding a merchant, its online store, its privacy policies, and/or any additional terms and conditions that may apply, visit that merchant's website and click on its information links or contact the merchant directly. You release "Room, The Space Journal" and its affiliates from any damages that you incur, and agree not to assert any claims against "Room, The Space Journal" or any of its affiliates, arising from your purchase or use of any products or services made available by third parties through the Service. You agree to be financially responsible for all purchases made by you or someone acting on your behalf through the Service. You agree to use the Service, and to purchase services or products through the Service, for legitimate, non-commercial purposes only. You also agree not to make any purchases for speculative, false or fraudulent purposes or for the purpose of anticipating demand for a particular product or service. You agree to only purchase goods or services for yourself or for another person for whom you are legally permitted to do so. When making a purchase for a third party that requires you to submit the third party's personal information to us or a merchant, you represent that you have obtained the express consent of such third party to provide such third party's personal information. If you follow a link to a third party site for shopping or anything else, "Room, The Space Journal" has no responsibility for that third party. Surf safely. 4. You may make no use of the Video Player for any commercial use, without the prior written authorization of "Room, The Space Journal"; provided, however, that you may use the Video Player to show "Room, The Space Journal" content on an ad-enabled blog or website, provided the primary purpose of using the Video Player is not to gain advertising or any other form of revenue (e.g. license fees, subscriptions, etc.). Prohibited commercial uses include, without limitation, any use of the Video Player that "Room, The Space Journal" finds, in its sole discretion, to use "Room, The Space Journal" resources or Your Content with the effect of competing with or displacing the market for "Room, The Space Journal" content. Any and all disputes, with the exception of copyright claims, arising out of, under or in connection with this Agreement, including without limitation, its validity, interpretation, performance, or breach, shall be settled by final and binding arbitration in1010 Wien/Austria, pursuant to the rules of the Austrian Arbitration Association. Judgment upon any award rendered may be entered in the highest court of the forum, state or federal, having jurisdiction. This Agreement, its validity and effect, shall be interpreted under and governed by the laws of Austria, without regard to its conflict of laws provisions, and you agree that the arbitrators shall award all costs of arbitration, including reasonable attorneys' fees plus legal rate of interest, to the successful party. Copyright claims shall be brought in the Federal court having jurisdiction. The user expressly agrees that any dispute regarding this contract shall be adjudicated within Austria, in the manner described here. If "Room, The Space Journal" is obligated to go to court, rather than arbitration, to enforce any of its rights, you agree to reimburse "Room, The Space Journal" for its respective legal fees, costs, and disbursements if "Room, The Space Journal" is successful. These Terms and any other operating rules or terms currently posted on the Service constitute the entire agreement between "Room, The Space Journal" and the users of the Service, and supersede all previous written or oral agreements between the parties with respect to such subject matter. No action of "Room, The Space Journal" may be construed as a waiver of any part of these Terms. Should any of the above paragraphs be unenforceable, the other paragraphs will remain in full force and effect. The female form is equal to the male form on this website, forms or related links; only for reasons of simplification, the male form was chosen. All disputes regarding these Terms of Service, with the exception of copyright claims, will be settled by arbitration in Austria, under its laws. Information You Provide Directly to Room "The space journal"
If you order a product from us, we ask for your name, postal address, email address, telephone number, and your credit card number. The security and confidentiality of your information is extremely important to us, and we take a number of steps to safeguard any personally identifiable information or credit card information that you provide to us. We use data encryption technology to help protect against loss, misuse, or alteration of your credit card information. Secure Socket Layers (SSLs) encrypt the credit card information sent between your computer and our database. However, no method of transmitting or storing electronic data is ever completely secure, and therefore we cannot warrant or guarantee that such information will never be accessed, used, or released in a manner that is inconsistent with this policy. Some parts of our Services may allow users to post or transmit messages, comments, screen names, computer files, and other materials. If you choose to make personally identifiable information public through these services, Room "The space journal" will consider that information public and will not limit its disclosure in the manner described here. Room "The space journal" is based in Wien, in Austria. If you are visiting our Services from outside of Austria, please be aware that your information may be transferred to, processed, and stored to Austria and other countries around the world. The data protection and other laws of Austria and other countries might not be as comprehensive as those in your country. Please be assured that we seek to take reasonable steps to ensure that your privacy is protected. By using our services or providing us with any information through this website, you consent to the transfer, processing, and storage of your information in Austria and other countries around the world. Other than certain sites that are intended for visits from children under the age of 13, our Services are general audience services, and we do not knowingly collect information about children under 13 years old through them. Should a child whom we know to be under 13 make known to us his or her personally identifiable information, we will use that information only to respond directly to that child to inform him or her that we must have parental consent before receiving his or her personally identifiable information. If we learn that we have collected personally identifiable information from a child under 13 other than in a manner authorized by law, we will delete that information from our database. This policy was last updated February 2016. Entered in the Commercial Register Vienna under registration number FN 407576b and represented by the Managing Director Dr. Mikhail Spokoyny. The content of this website is protected by copyright. Reproduction or use of content on other websites as well as copying on data, even in part, is prohibited without prior written permission by the AIRC GmbH. Further marketing of content is not allowed. The Asgardia Independent Research Center GmbH is not responsible for unsolicited manuscripts, photos or similar. AIRC GmbH Stubenring 2/8-9, Vienna, 1010, Austria. Copyright © 2015 - 2019 AIRC GmbH and Asgardia NGO. All rights reserved.